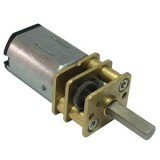 Micro Gear Motors. Permanent Magnet DC motors with Steel Spur Gearboxes in a very small 12mm form factor. These motors are suitable for a variety of uses from model making and robotics to automation and small scale industrial applications. 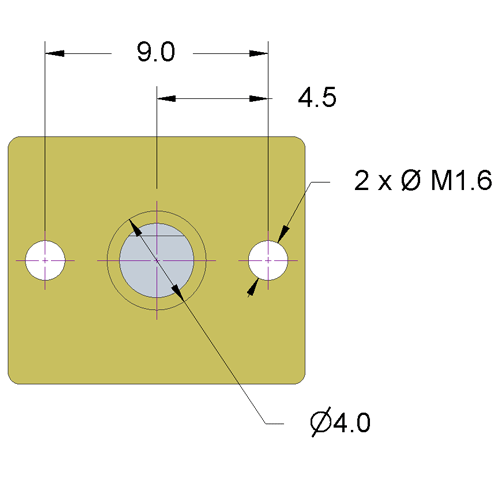 1.The motor can be mounted directly onto a device, using the two threaded M1.6 holes in the gearbox end plate This will require the device to have two holes of 1.6mm diameter at 9mm centres either side of the motor shaft position, with a 4mm diameter hole centrally between to accommodate the bezel surrounding the shaft. See diagram below. 2. The motor can simply be secured onto a motionco Mounting Bracket with two M1.6 screws (provided). 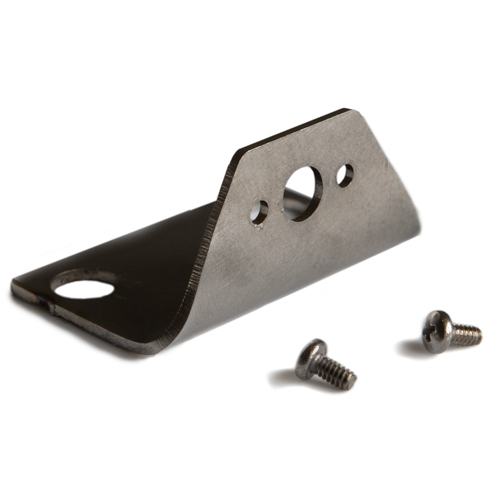 The bracket has two 5mm fixing holes in the base, at centres of 20mm, and is of sturdy stainless steel construction. It is fully compatible with the Meckit Construction System, enabling the motor to be robustly mounted directly onto Meckit channels, plates and bases without any machining operations. 3. 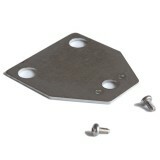 The motionco Mounting Plate is an alternative format of the above bracket, allowing different mounting configurations. Select from our range of Micro Spur Gear Gearmotors below. Bracket for GMS12 Motors. ..
12V Micro Electric Gearmotor with Spur Gearbox. 30:1 ratio. Output speed 1000rpm ..
12V Micro Electric Gearmotor with Spur Gearbox. 50:1 ratio. Output speed 500rpm. ..
12V Micro Electric Gearmotor with Spur Gearbox. 100:1 ratio. Output speed 300rpm. ..
12V Micro Electric Gearmotor with Spur Gearbox. 298:1 ratio. Output speed 100rpm. ..
12V Micro Electric Gearmotor with Spur Gearbox. 1000:1 ratio. Output speed 30rpm. .. Plate for GMS12 Motors. ..